Okay, here's another lame-photo-filled blog post. But I think the idea is super easy and cheap. Plus, who doesn't like repurposing an old baking powder container into a little vase? 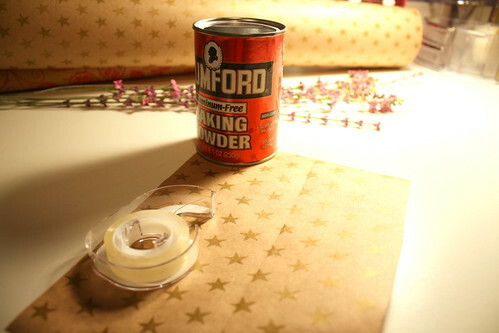 So here's what I used: wrapping paper, scissors, double-stick tape (my DIY bff), and a baking powder container. 1. 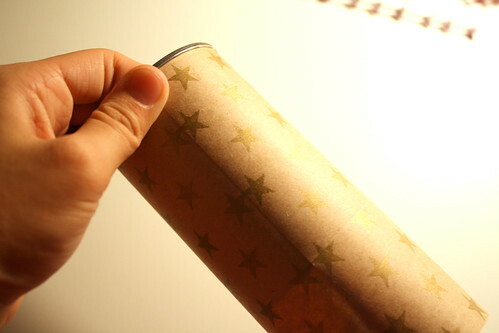 Cut out a square of wrapping paper approximately the same dimensions of the container (it's okay if it's too big). 2. 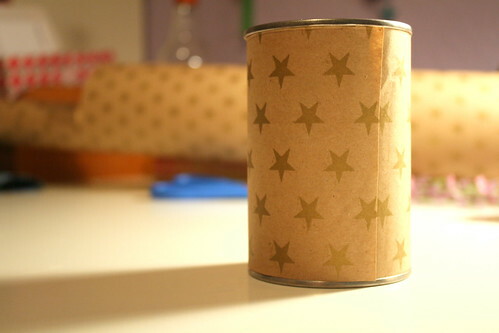 Wrap the paper around your container, and make necessary adjustments to fit your container. If your container has a lip of any sort, you can use your fingernail to make sure the paper fits perfectly on the container. 3. 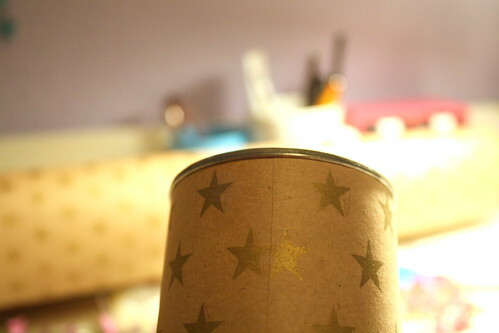 Next, add some tape to one end of the wrapping paper (tape should be placed on the height edge of the paper). 4. 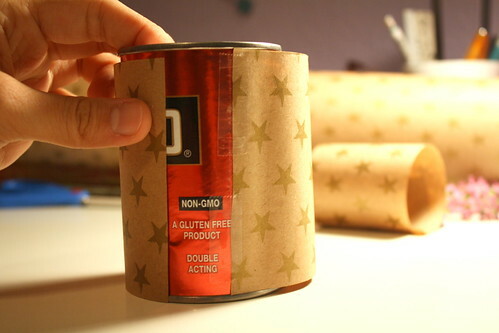 Then simply wrap it around the container, making sure the paper is wrapped tightly and smoothly against the container. 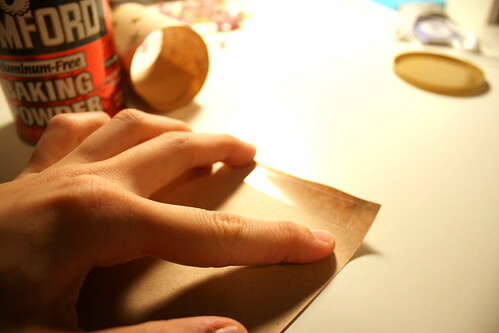 Then add a little more tape on the loose end to secure the paper. And there you have it! An easy way to reuse old containers. And I've actually used the same technique for other metal containers (like my mom's old chai mix container which holds little trinkets). 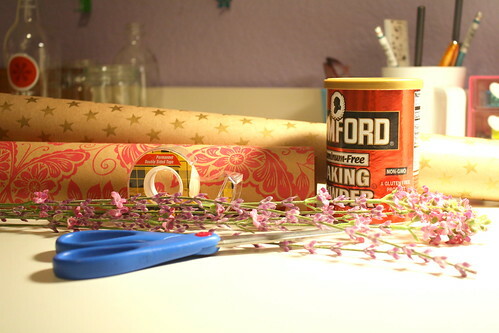 And you can also use scrapbook paper as well. Do you have any easy DIY slash repurposing projects or decorating tips you'd like to share?